Isla Mujeres is situated in the northern Yucatan Peninsula of Mexico, only a twenty-minute ferry ride from Cancun. Despite its proximity to this bustling tourist hub, the sea surrounding the island is famous for its abundant sailfish, whale sharks, manta rays. Possibly the most exciting of all are the the huge schools of sailfish that arrive each winter chasing shoals of sardines . During months of January through March, winter storms in the northern Gulf of Mexico drive nutrient-rich waters south over the shallow continental shelf that stretches off the coast of the northern Yucatan. 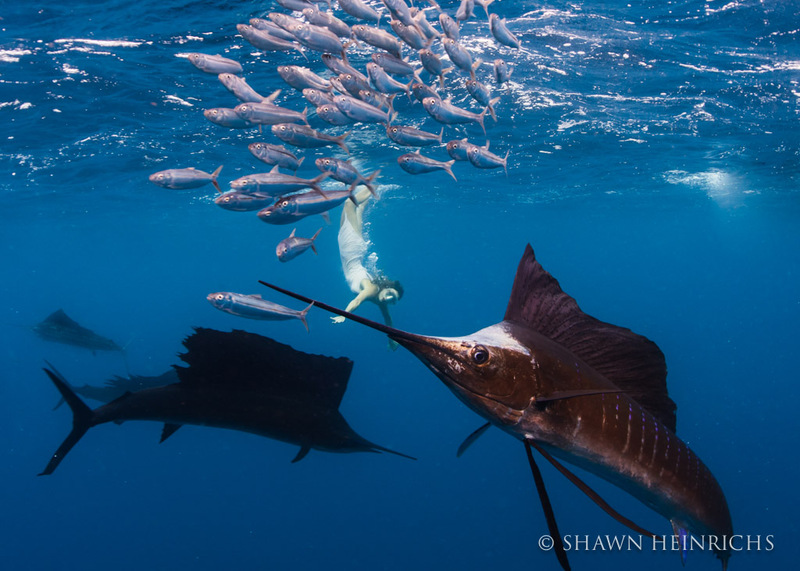 Massive shoals of sardines follow the currents, and in turn, schools of sailfish follow the sardines, creating the perfect conditions for an epic baitball. 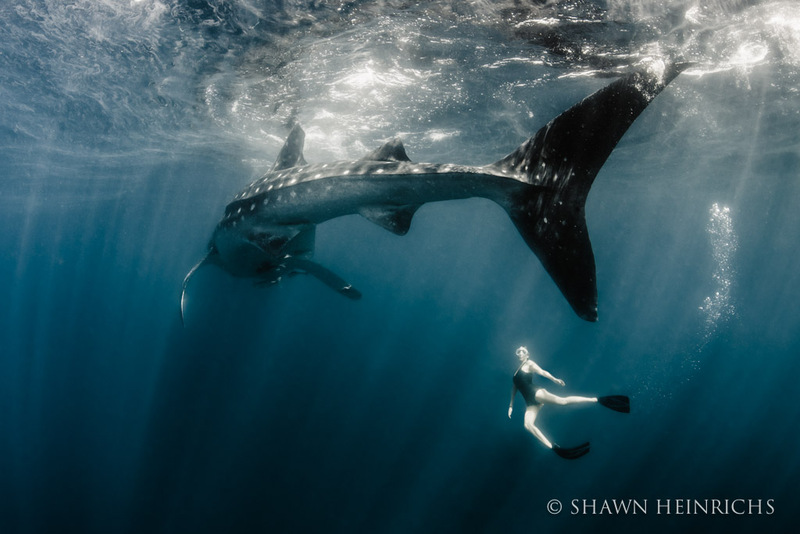 In February of 2013, I traveled down to Isla Mujeres with Italian model, world champion sky diver and top wing suit jumper Roberta Mancino. 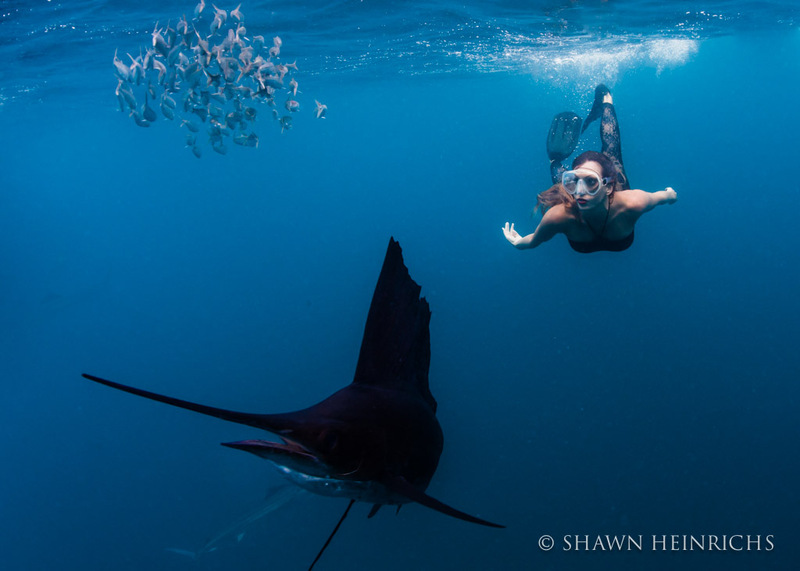 Our mission, to capture images of amazing interactions with sailfish and giant manta rays. 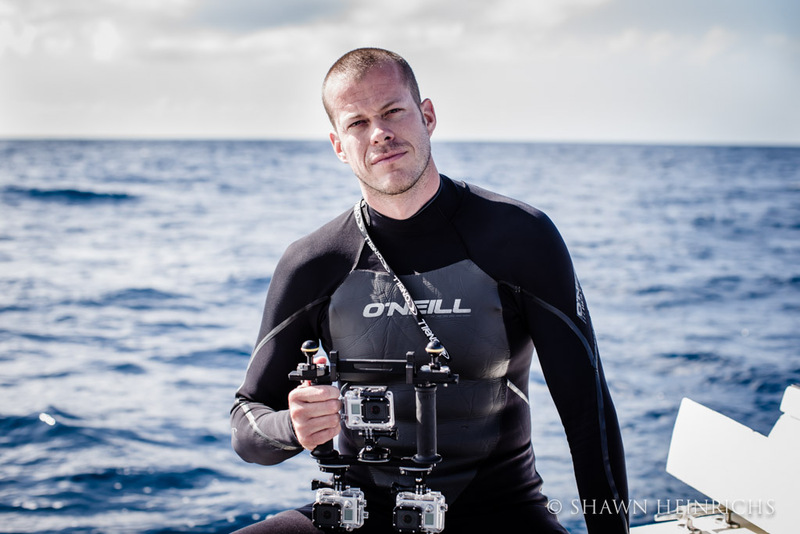 Each day we battled raging seas, high winds, and elusive wildlife as we charged across open seas in search of the action. Sailfish, with their razor sharp bills, are some of the fastest fish in the ocean. Working in unison, they drive the sardines up from below toward the surface. 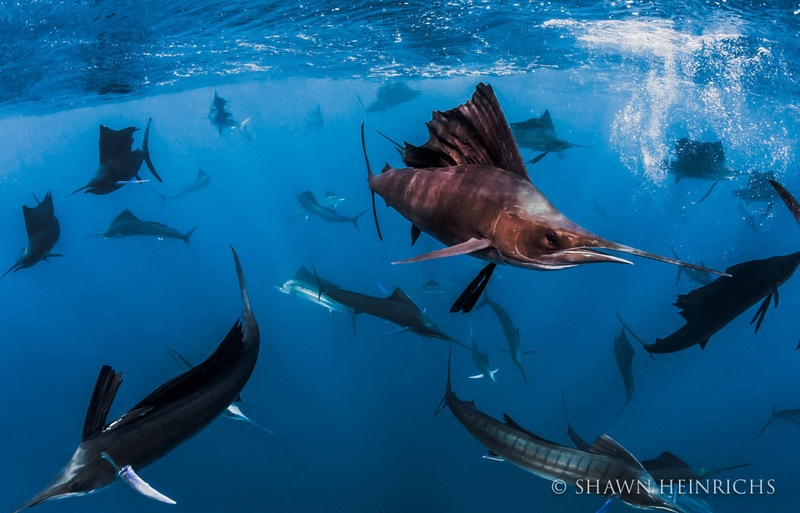 While a regiment of sailfish guards the perimeter to maintain the tightly packed sardine ball, other sailfish swim below to prevent the sardines from diving to the safety of the large shoal below. Taking turns, the sailfish throw up their sails, flashing brilliant colors down the length of their bodies, then race through the ball of sardines, striking the terrified sardines with their razor sharp bills. Scales fly, and one by one the sardines are snatched up. Roberta fearlessly threw herself into the midst of all this action, ducking and dodging as sailfish raced all around her in pursuit of fleeing sardines. 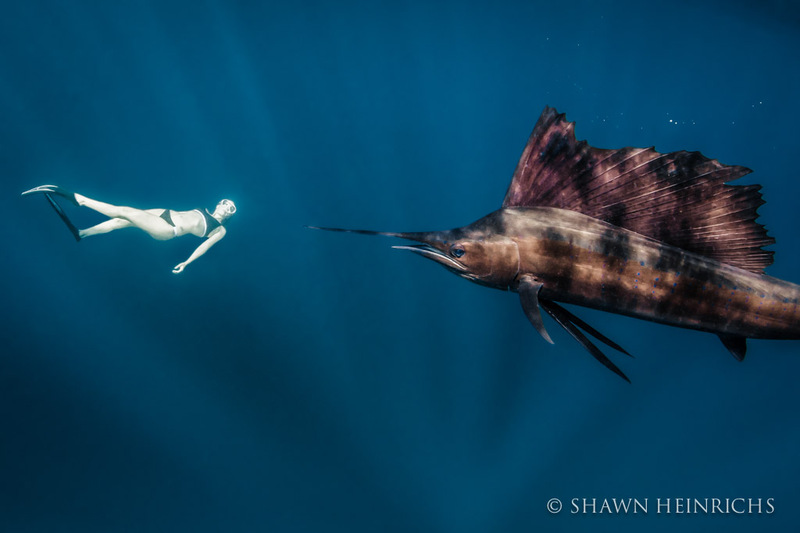 Many times I cringed as a sailfish would strike a sardine just inches from her body. Fortunately, the combination of Roberta’s exceptional athleticism and the sailfish’s incredible hunting skills, prevented any accidents…for a miss here could prove fatal! 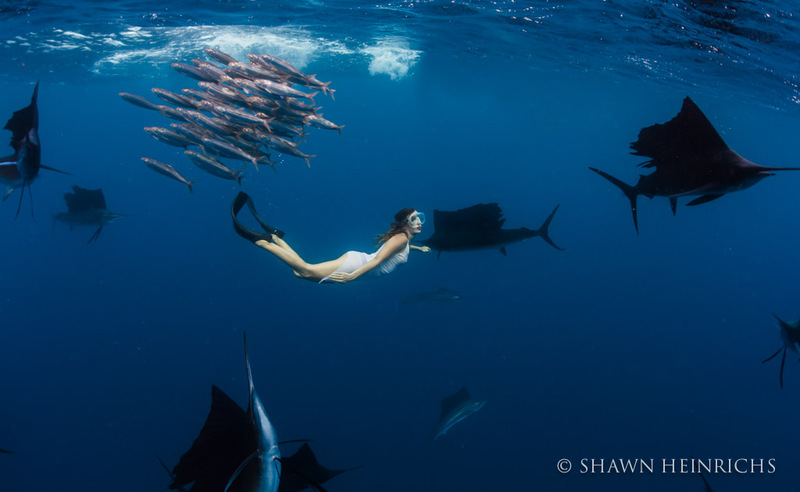 Over the course of 10 days of hard work, our efforts were rewarded with stunning images of Roberta diving through swarms of hunting sailfish and swimming with five meter manta rays as they glided through schools of sardines. We returned again in February of 2014 to take another shot at this exciting adventure! This time we were here to film a video for Epic Tv with the support of Liquid Art. Given the extreme adventure nature of the project and the fact we were shooting with GoPros, we immediately agreed this would be perfect fit for our great friend Jeb Corliss, a top GoPro Wingsuit athlete. Jeb was eager to join to help the filming and share in this unique experience. 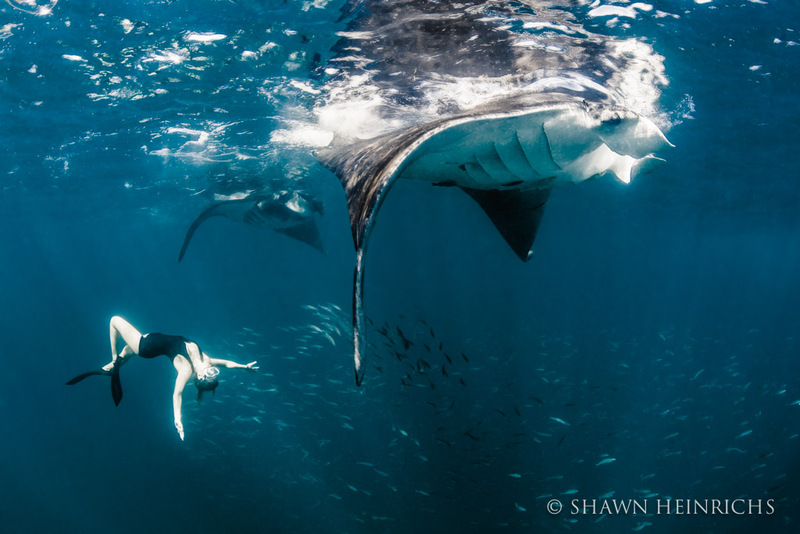 However this season it was even harder to find the baitball action, but undeterred, we pressed on and struck gold with some epic interactions with whale sharks and manta rays. 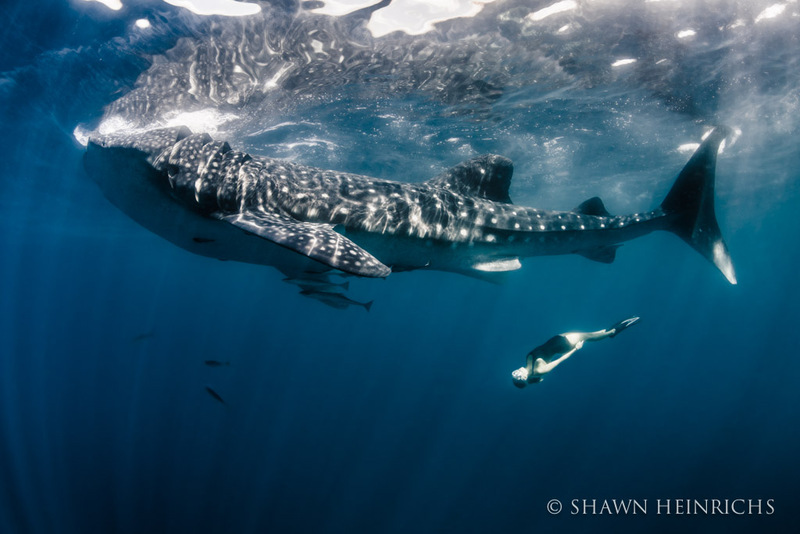 With the addition of these incredible encounters, we succeeded in completing another exciting project together!